Lock in a great price for Pensión Rey – rated 8.8 by recent guests! Centrally located on the Isla de Arousa and close to the beaches and the nature reserve which are first rate. Very clean good sized room with double bed (not two singles pushed together). The white bed linen was pristine. The bathroom was also very clean with a bath as well as a shower. Excellent value at 18 euros a night (off season for here I guess). We have never had a better rate. Galicia generally is very good value. The local bars and restaurants were attractively lively. We will probably be back. Central location. Exceptionally clean and comfortable. Excellent value. Almost everything....for example, the view from our room included the sea on two sides! The housekeeper, Paula, was fabulous --------- this place is squeaky clean! For the price of a bunk bed you actually get a whole room plus bathroom. What I liked especially was that there was not only a thick blanket, but even an electric heater in the room! Very welcome for cold nights. They also provide a towel and a mini shower gel / soap. You could darken the room completely, which helped me to sleep very deeply. You could leave until 12, which was a welcome difference to pilgrim hostels where you have to leave at 8... Nice sunset just around the corner. Location was poor but the room, although basic was clean and tidy. Very good value if you just want a base. La atención de Manolo que siempre nos hace sentir como en casa!! La ubicación y la limpieza excelentes. La amabilidad de Manolo. Limpieza excelente, gran trato por parte de Manolo, la cama muy cómoda y las vistas al mar, una delicia! Volveremos! La limpieza era perfecta, todo super limpio, la ubicacion tambien muy buena y la atención recibida por Manolo expectacular en todo momento. Pensión Rey This rating is a reflection of how the property compares to the industry standard when it comes to price, facilities and services available. It's based on a self-evaluation by the property. Use this rating to help choose your stay! 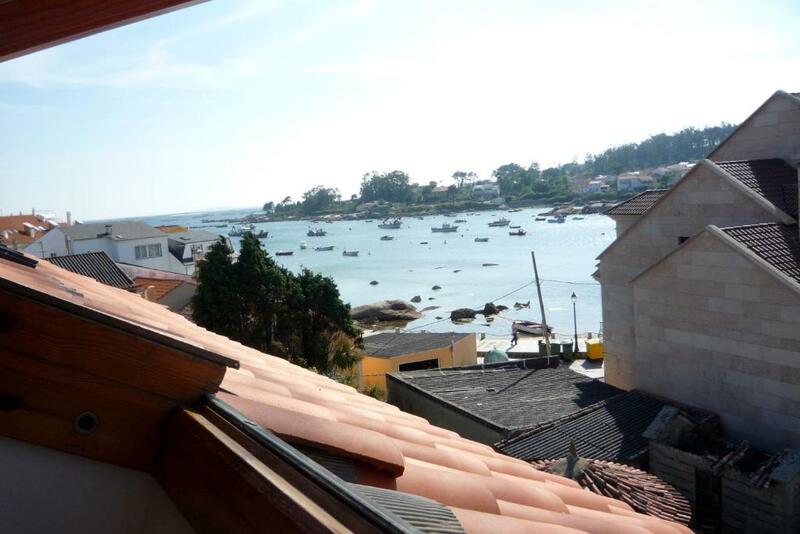 This simple and comfortable guest house is located in the center of the Arousa Island, 22 mi from Pontevedra. 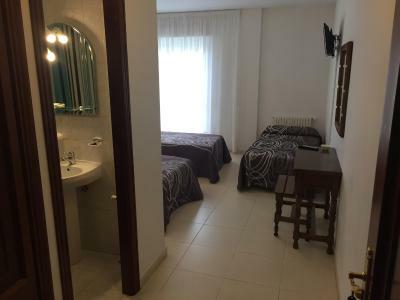 It offers bright rooms with a private bathroom, 2 minutes’ walk from the port. 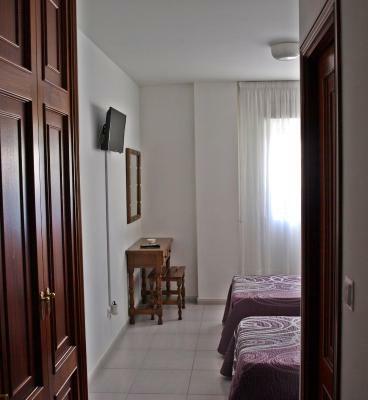 Rooms at Pensión Rey feature views of the sea or street. All come with a TV, desk and and some rooms also include a small terrace. Towels and sheets are included. 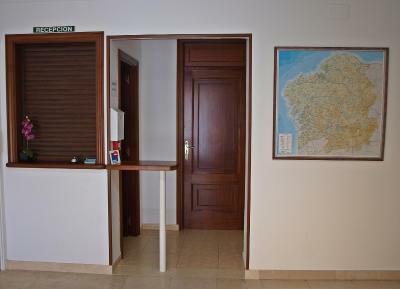 The property is located 5 minutes’ walk from various bars, restaurants and shops. You can visit the Carreirón Nature Reserve or enjoy the island’s 6.8 mi of beaches. Free public parking is available near the Rey guest house, which is 30 minutes’ drive from the Meis-Fundación Monte Castrove Golf Resort and 55 minutes’ drive from Vigo. This property is also rated for the best value in Isla de Arosa! Guests are getting more for their money when compared to other properties in this city. When would you like to stay at Pensión Rey? This bright room features views of the sea or street. It comes with 2 single beds, a TV, desk, wardrobe and a private bathroom. Sheets and towels are included and the room is cleaned daily. This bright room features views of the sea or street. It comes with a TV, desk and a private bathroom. Sheets and towels are included and the room is cleaned daily. The room comes with 1 double bed. Please note that there is no elevator. This bright room features views of the sea. It comes with 1 single bed, a TV, desk, wardrobe and a private bathroom. Sheets and towels are included and the room is cleaned daily. This bright room features a small terrace with views of the sea or street and a wardrobe. It comes with 3 single beds, a TV, desk and a private bathroom. Sheets and towels are included and the room is cleaned daily. This apartment features a washing machine, view and sofa. Please note, cleaning is done on arrival and departure only. This bright room features a small terrace with views of the sea or street and a wardrobe. It comes with a TV, desk and a private bathroom. 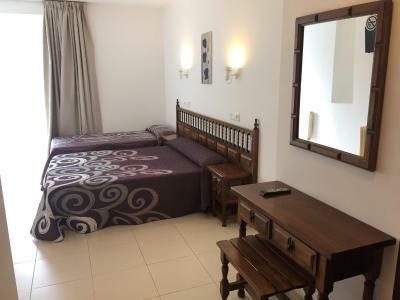 Sheets and towels are included and the room is cleaned daily. The room comes with 3 singles bed. House Rules Pensión Rey takes special requests – add in the next step! 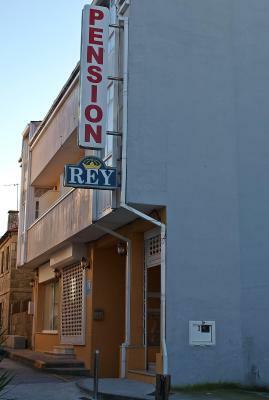 If you expect to arrive outside reception opening hours, please inform Pensión Rey in advance. Please inform Pensión Rey of your expected arrival time in advance. You can use the Special Requests box when booking, or contact the property directly using the contact details in your confirmation. All in the room was very good! It would have been nice if there was access to some type of kitchen. The wifi connection didn't reach my room, so had to connect in the hall... the bed was not overly comfortable. Ideal only if you travel by car, since not too close to beach / natural parc. O trato do persoal inmellorable. Moi atento. Had to phone rlto be let in. Back street location.